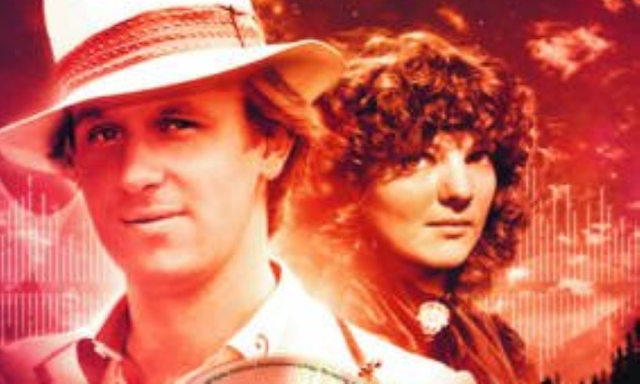 Following along the same lines as previous releases like Forty-Five and Circular Time, The Demons of Red Lodge collects four 25 minute standalone stories featuring the Fifth Doctor and his companion Nyssa spread out across 2 discs. Unlike other releases however, The Demons of Red Lodge is the first to feature a story that was written by a rare Big Finish competition winner. Demons consists of four very strong stories, one of which is completely unique to the world of Doctor Who as a whole and is brilliantly executed. The first story, The Demons of Red Lodge starts the whole thing off with a bang, figuratively not literally thanks to author Jason Arnopp's great script. The whole episode hares along from start to finish and both characters experience a range of emotions, something that is unusual to find in the Davison era and had it been two different actors, wouldn't have worked. Instead, it is completely believable. The climax of this episode is also great and quite tragic but it gives Nyssa a chance to flex her intelligence. The second adventure, The Entropy Composition, written by competition winner, Rick Briggs is one of the best Doctor Who stories to use the audio medium to its fullest. Briggs explores something that we all already know, Prog rock is dangerous! He tops this off with science and manages to bring this complex and brilliant story to a satisfying conclusion. Come on Big Finish, get him back! The third story, Doing Time, is an idea I am surprised to find that Doctor Who hasn't really done before. The Doctor in prison. There are times when the Doctor is locked up but this usually done to further the bigger plot. Here though, author William Gallagher locks the Doctor up for good, because of his discovery about a plot by a would be president of Folly. Humour also plays a great part in this adventure with Nyssa running through the streets screaming "Arrest me, I'm a desperate criminal!" despite having dropped the thing she had stolen and trying to break into an empty cargo container. The final story, like the second makes a good use of the audio platform. Special Features is a commentary across a fictional film, Doctor Demonic's Tales of Terror. The story answers the important question, what would actually happen if the Doctor was too take part in a commentary. The answer is something along these lines. Every once in a while along comes a story that makes us shake our heads at the author's unending imagination. This one of those moments. Special Features is a great story and wonderfully wraps up this release. I can't help but feel that the idea to bring in some fresh blood is one that really paid off. I only hope it isn't the last time we hear from this lot, especially Rick Briggs. THE DEMONS OF RED LODGE AND OTHER STORIES, WRITTEN BY JASON ARNOPP, RICK BRIGGS, WILLIAM GALLAGHER AND JOHN DORNEY AND STARRING PETER DAVISION AND SARAH SUTTON WAS RELEASED BY BIG FINISH PRODUCTIONS IN DECEMBER 2010.